All of Eevee's evolutions. 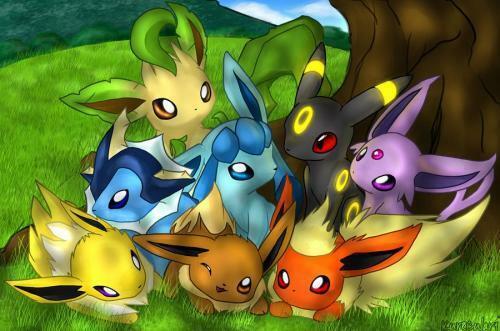 Don't know who the artist is.. Wallpaper and background images in the Eevee Evolutions Clan club tagged: evolutions eevee espeon flareon glaceon jolteon. Somebody should make a metal, air, ghost, rock, and poison form of evee. so cute and cudalicious !